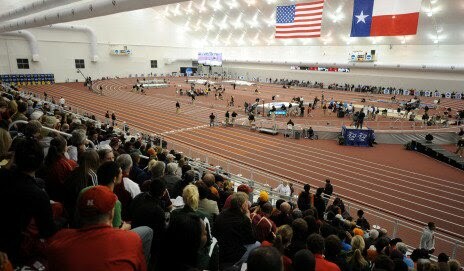 Here are the start lists for Villanova's competitors at the NCAA Indoor Championships. On Friday Matt Gibney will run in the first preliminary heat of the mile at 4:15 and then come back that night at 8:40 to run the 1200 leg of the DMR. Friday night will also see the women's DMR at 8:20 p.m. On Saturday, Sheila Reid and Bogdana Mimic will run in the 3000 meter final at 6:40 p.m.
With regard to Villanova's competitors, Oregon's Alex Kosinksi has withdrawn from the meet with a possible stress fracture, so she won't compete in the women's 3000 meters or as anchor of Oregon's DMR squad. Two heats. Top 4 plus next 2 fastest advance to Final.